The Amstel House's Colonial Revival garden was originally designed by Charles F. Gillette, a noted Virginia landscape architect whose Colonial Revival designs are highly regarded. Gillette was trained by Warren Manning in Boston. 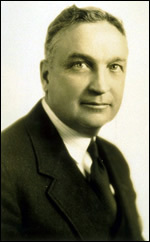 Manning, in turn, was a student of Fredrick Law Olmstead during his creation of New York’s Central Park. Gillette designed over 780 gardens in the early to mid-20th century, the vast majority in Virginia. Much of his work was for wealthy clients with large country estates who wanted beautiful gardens and dramatic vistas in the “Country Place” style. Gillette also designed gardens for churches, college campuses, public buildings, and housing projects. The Amstel House gardens were one of just five designs in Delaware; others included the Nemours Foundation and Old Swedes Church. As you stroll through the Amstel House Garden, look for these hallmarks of Gillette’s designs. Gillette created 34 architectural drawings for the garden, often the result of extensive reworking required by Arasapha Garden Club. His drawings covered not only the overall garden plan but also details such as the design and elevation of the walls and even the design of the garden doors and their hardware. The New Castle Historical Society has several of the original drawings; the others are housed at the Library of Virginia. Most of the drawings are dated 1932, when we believe most of his plan was developed, but a few dealing with details to the gardens are dated 1937. The high brick walls creating a private "outside room"
Some elements of Gillette's designs for the Amstel House Garden, such as a well house, trellises around the patio, and fruit trees along the back wall, were never installed, probably because of installation and maintenance costs. Today some plantings differ from Gillette's designs in order to keep the gardens visually appealing throughout the growing season and because of costs, environmental changes, and other realities of gardening in the 21st century. Click here to learn how Amstel House Garden is being rehabilitated in 2018 to bring it closer to Gillette's original designs.